MSRP $131,676. The Road Warrior Multi-Lifestyle Vehicles combine all the best that fifth wheel RVing has to offer with the versatility of a toy hauler. 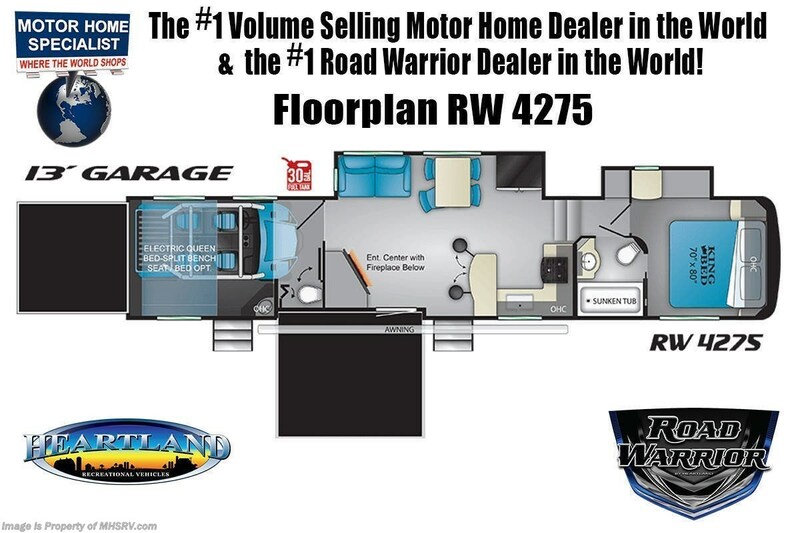 New 2020 Heartland Road Warrior 4275RW fifth wheel RV is approximately 44 feet 1 inch in length featuring 2 fold-down patios, spacious living area, large toy hauler area & more! This amazing toy hauler also includes the Road Warrior Ready to Go Package as well as the Road Warrior Get Gone Package to ensure that you are prepared for every adventure. Additional options include the beautiful full body paint exterior, rear electric patio awning, Happi-Jac folding sofas & queen bed, removable edged cargo carpet, LED TV in the garage on a swivel bracket, three season removable wall, residential refrigerator with dual batteries & inverter, large bedroom TV, king bed IPO queen, dual pane windows, 3rd A/C with energy management system & heat strip, Canadian arctic package, mega sofa IPO table and chairs, and a 5.5KW Onan generator! For more complete details on this unit and our entire inventory including brochures, window sticker, videos, photos, reviews & testimonials as well as additional information about Motor Home Specialist and our manufacturers please visit us at or call 800-335-6054. At Motor Home Specialist, we DO NOT charge any prep or orientation fees like you will find at other dealerships. All sale prices include a 200-point inspection and interior & exterior wash and detail service. You will also receive a thorough RV orientation with an MHSRV technician, an RV Starter's kit, a night stay in our delivery park featuring landscaped and covered pads with full hook-ups and much more! Read Thousands upon Thousands of 5-Star Reviews at and See What They Had to Say About Their Experience at Motor Home Specialist. WHY PAY MORE?... WHY SETTLE FOR LESS? 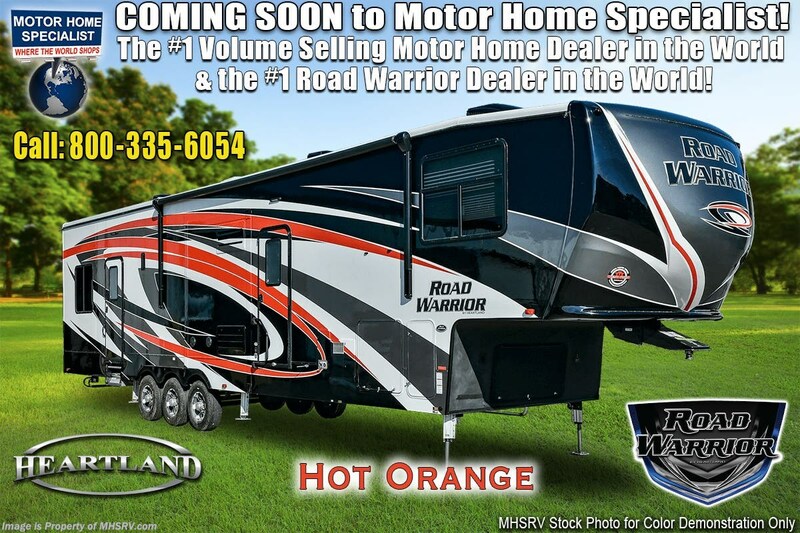 Check out Stock # FHL021997827 - 2020 Heartland Road Warrior 4275RW on heartlandrvsource.com!